You may be what I call “virgin aesthetic patient” thinking about getting Fillers or Botox for the first time. You’ve seen many holiday specials, read stories online and have friends who’ve indulged. Less is more when it comes to plumping up. Start gradually. You can always get more. Only use a reversible filler in the Hyaluronic acid family. If you don’t like the look, it can be dissolved. Numbing cream will numb the area to be injected so it won’t hurt. If you are getting your lips plumped for the first time, ask for a dental block. Don’t get injected before a big event, you may bruise. Prepare by stopping all your supplements 10 days before your appointment. Buy Arnica sublingual tablets 12c and start taking it the night before and right after the injections. You may be swollen and have red marks where the needle went into your skin. Ice! Wait 10 days for the filler to settle before you make a judgement. Bumps can be massaged out by your injector, if necessary. 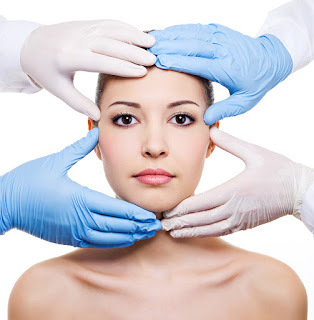 Only go to a Board Certified Dermatologist,Plastic Surgeon or Trained Nurse Injector. It’s tempting to buy a Groupon or Daily Deal for Botox, Laser Treatment or Fillers. Maybe you are new-bee to Botox or Fillers and the price is enticing. So you book an appointment, only to either have a bad experience or spend more money than you planned. Now, I’m not saying that all Groupons and Daily Deals are misleading or that the doctor is inexperienced in the field of aesthetic medicine. However, keep in mind that a busy practice or medical spa does not need to advertise in Groupon and Daily Deals. With the continued explosion of cosmetic treatments and surgery plus the declining rate of insurance reimbursements for medical doctors, more non-core specialty doctors will decide enter this very lucrative business. Before you consider cosmetic procedures answer these questions first. 1.What are my expectations? My aesthetic goals? 2.What is my budget for consultations and the procedure? 3.Do I have the time to do the research on doctors or do I need more guidance ? 4.How many consultations will I go to? 5.Will I have the emotional support of my family both pre-op and post-op? 6.Does the procedure fit into my lifestyle? 7.Can I take the time I need to recover?